Mauritius is famous for its turquoise waters, tropical blooms and dreamy scenery. In a series of exclusive vases for SO/ Mauritius, designer Kenzo TAKADA captures the warm, lively colors of this island escape. 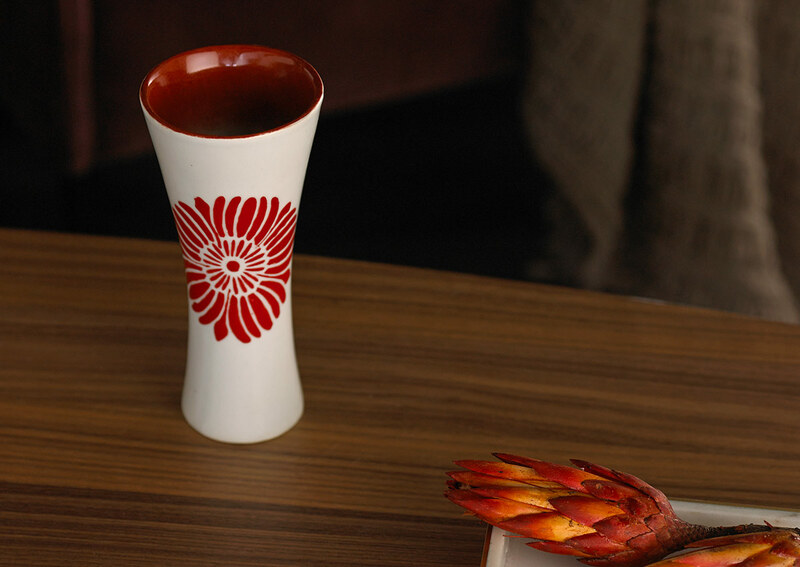 Handmade from porcelain and hand-painted with a vivid tropical flower, the 7 inch high Petit Chrysanthemum vase captures a small piece of paradise. For SO/ Mauritius, visionary designer Kenzo TAKADA envisioned home decor that would blend in with the natural beauty of the island, from bright tropical flowers to the cool blues of the sea. Mixing warm colors with white minimalism, his hotel collection combines a contemporary look with softness, simplicity and a feeling of zen.